Certain nitrates and chlorides are deposited by the evaporation of soil water (rising damp) on the surface of walls and floors. 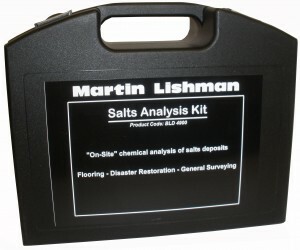 A meaningful analysis can be carried out using the Salts Analysis Kit. 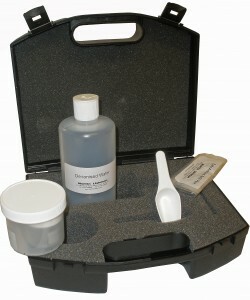 If there are positive indicators for both chloride and nitrates, then the water that deposited those salts can be said to be soil bound, hence supporting a case for rising damp, as opposed to rain water ingress or a leaking water pipe.